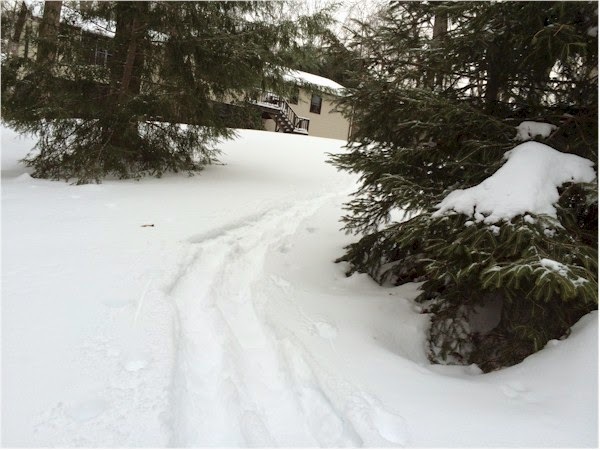 Original Content: Should You Go Snowshoeing After Reading A Review Of "Mort(e)?" Maaaybeee Not. 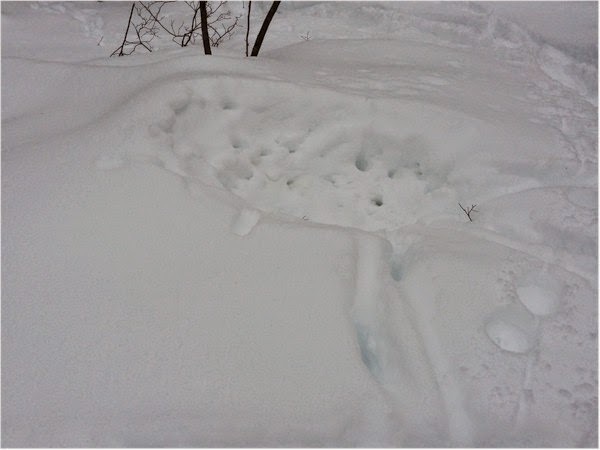 Should You Go Snowshoeing After Reading A Review Of "Mort(e)?" Maaaybeee Not. 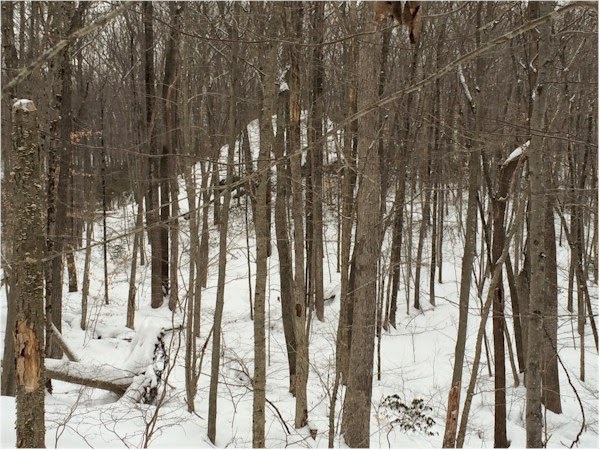 We're expecting a snowweekend here in Connecticut, so the Gauthiers planned to get a little more snowshoeing in. We headed off into the woods behind our house, even though I'd seen a coyote bounding through the snow headed the same way. But that was a week or two ago, and there's a lot of ground out there. So the whole coyote thing hardly bothered me at all. 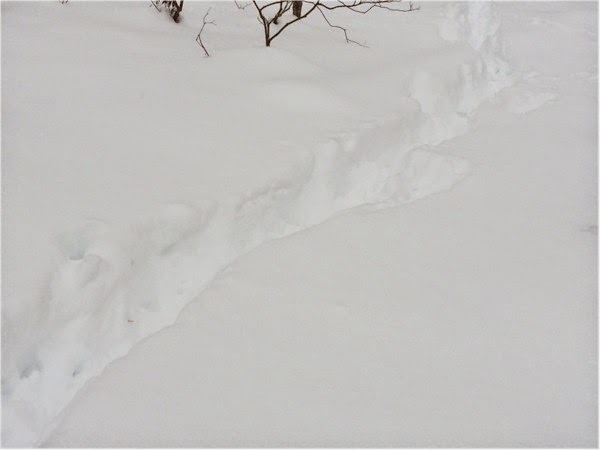 What got me thinking, once we were a little distance from my house and my neighbors', slowly breaking a trail through the snow, and viewing signs of other kinds of life, was that the last thing I read before I suited up was a review of Mort(e) by Robert Repino. Mort(e) is about a cat who becomes sentient. More than just sentient, he, and all other animals, are suddenly able to walk upright, carry weapons, and use them. Well, of course, they revolt against us. Their leader is a bobcat. I haven't seen any bobcats out in back of my house, but that doesn't mean they aren't there. This trail we crossed, it could have been made by a bobcat. And what if it was a coyote trail? A coyote has as much chance of rallying the troops as a bobcat. Coyotes are tricksters. What was really disturbing was the top of this knoll where the wildlife had obviously been gathering. The knoll was covered with all kinds of spots where your larger animals of the wood had been lying down. Resting up for something, no doubt. The size of the trail leading to this spot was impressive. Disturbingly so. Deep and wide. A lot of beasts had been using it. It takes some organization for a group to create infrastructure like this. Obviously, we got back safely, or I wouldn't be writing this now. 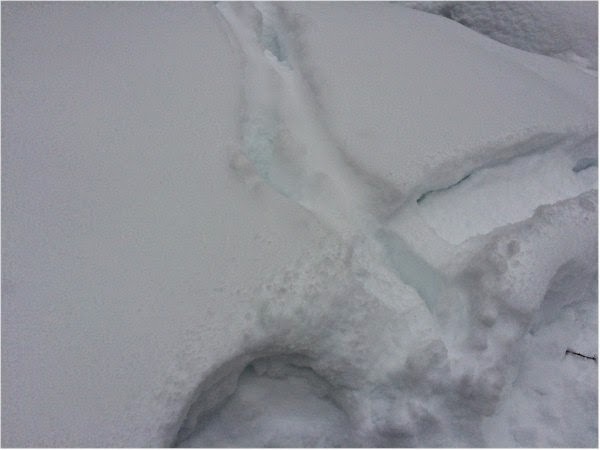 However, remember I mentioned earlier something about "slowly breaking a trail through the snow?" Once a trail has been made, anyone can use it. All those woodland creatures have access to it. And where does it lead? Directly to my home. We've made it easy for them.